Christmas Note #5: Christmas always lights up my life. Rave: Christmas Note #5 — Christmas always lights up my life. Although my husband is not a big fan of Christmas lights (which accounts for the dearth of them at our house — him being the big DIY’er here and all), I love them. My daughter and I have a yearly tradition of taking one night to drive around and look at everyone’s Christmas displays. Even in Cleveland there are people who put on quite a show, and out here in the country there are a few that rival those that are shown on the link below. 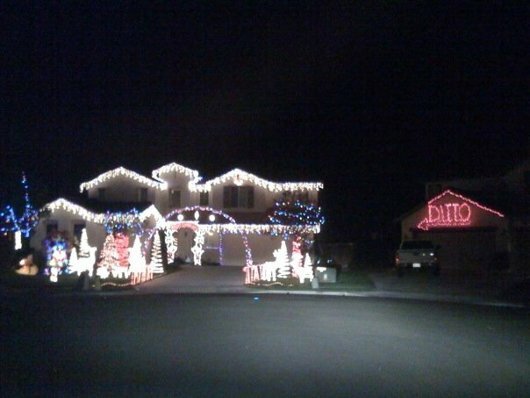 Have a look at these folks who got into the Christmas spirit in a big way. Then there are those who chose to compete by not competing. 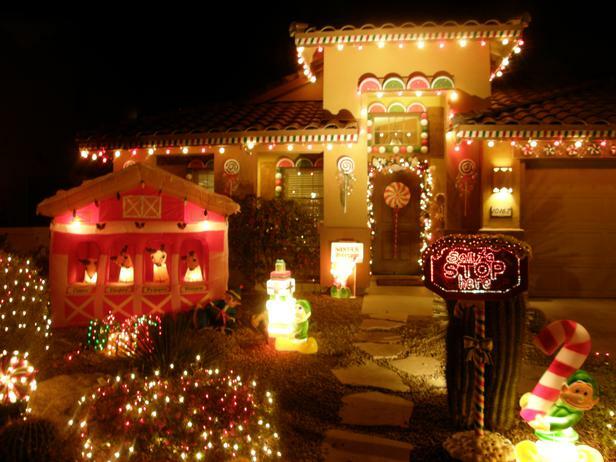 This entry was posted in Rant and tagged Christmas, Christmas lights, Christmas notes. Bookmark the permalink.